We knew this would be a fun project. Our relationship with PUMA has evolved significantly since our first meeting late last year. What started as a user experience and visual design project grew into a major development effort running in parallel with a series of marketing services. 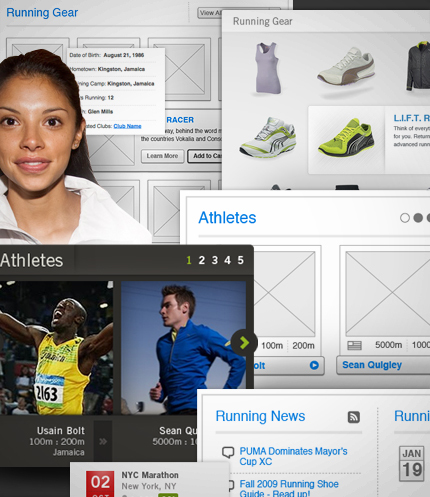 Each time our friends at PUMA learned what else Viget could do, we were happy to do more. 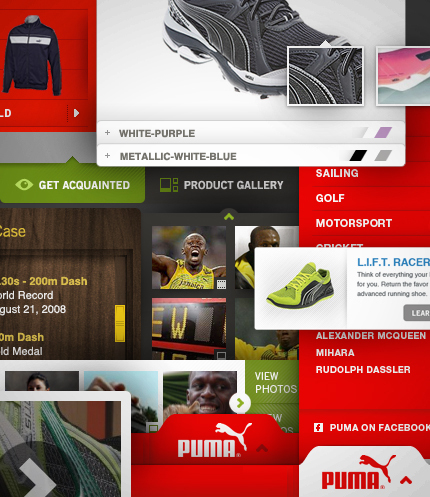 Started by re-imagining what a PUMA web site should be. We considered the brand, the customer, and how the right web experience could strengthen the relationship between the two. 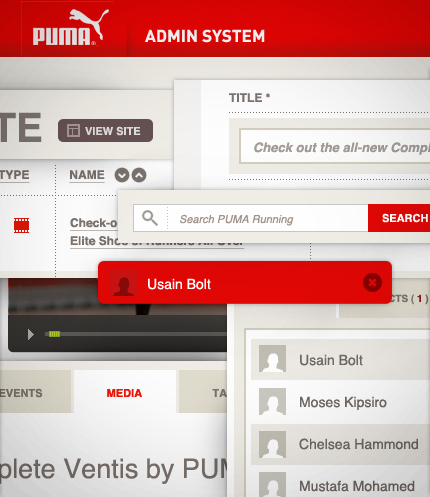 Created an extensive user experience plan that included a vision for global PUMA navigation and functionality, a specific content strategy for PUMA Running, and a flexible component system that not only fostered this strategy but would allow for a consistent experience across many PUMA sites, without forcing the visual design into a cookie-cutter feel. Built an engaging interface, leveraging jQuery extensively to allow for intuitive, responsive interactions. Developed a custom publishing platform in Ruby on Rails upon which the Running site sits. This platform allows for content entry for items such as news articles and events, but also allows for the input and organization of components such as products and athletes, navigation links, and online store links. Optimized the site for search and social media. Users can leave comments on the site or on another social platform, and PUMA’s social presence on Facebook, Twitter, YouTube, and Flickr is prominently displayed. In the future, we’re planning to expand on these features to better showcase what users are doing offline, along with customizing their experience online to match their preferences. There will be more to come. In the meantime, check out PUMA Running.